3 Steps to Presenting Healthy Snacks for Children Before Sleeping - Naturally, the child often feels hungry fast, even though he may have just eaten dinner. This is because the child's stomach is still so small that he cannot accommodate a lot of food at once. Well, here is the importance of the role of parents to provide snacks for children between meals so that children do not starve, including before going to bed. Why do you have to give snacks for children before going to bed? Give your child the chance to snack before bed, even if he doesn't ask for it. Because healthy snacks given before going to bed can help children sleep well. In the child's body, there are hormones leptin and ghrelin, two hormones that control hunger. When children eat snacks at night, the hormone leptin will send a signal to the body to suppress the hormone ghrelin, aka the hungry hormone so that the child feels full. Conversely, if the child does not get enough food at night, the hormone leptin will release more ghrelin hormones so that the child feels hungry. As a result, children will often wake up in the middle of the night and have difficulty sleeping soundly because of starvation. Quoted from Today Parenting, giving snacks to children before going to bed also makes it more cooperative in the morning. If your baby is usually difficult to wake up, now you don't need to pull the reins again when you wake them up. Children will be better prepared to go to school with a cheerful heart. Although giving a healthy snack before bed is good for your child's health, there are a number of things you need to pay attention to. Incorrectly providing snacks for children can increase the risk of obesity in children. To avoid this, let's follow the safety guidelines for providing snacks for children before going to bed the following. Do not occasionally provide snacks for children at dinner time. This will make children more interested in snacking and full before they can eat. 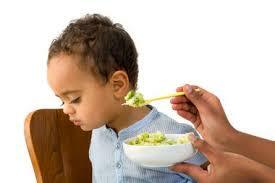 Let the child's stomach digest the food first, then 1 or 2 hours after that you may give snacks for children. Many parents think that snacks are sweets such as sweets, cakes, cookies, and so on. This is actually not right, because sweet foods don't have enough nutrition for your child's growth. Try to remember what foods you have given to your little one today. Does he miss eating fruit during the day? If so, give fruits as a snack for children before going to bed. Similarly, if your child eats fewer vegetables, give carrots or children's favorite boiled potatoes as a snack. To form a healthy and orderly diet, make a consistent snack schedule for your little one. If you are accustomed to giving snacks one hour after the child has dinner, do the same in the following days. This will train your baby's responsibilities and tell him when to snack and when to stop snacking at bedtime. What types of snacks for suitable children are given before going to bed? After knowing the tips and tricks for giving snacks to children before going to bed, it's time for you to understand the type of snack that is right for your child. Not only guarantees the little one can sleep better, but you also do not need to worry about the child will be at risk of obesity because most snacking. High-carbohydrate foods, such as wheat crackers and bread, are the best kind of snack for children. Elizabeth Pantley, the author of The No-Cry Sleep Solution for Toddlers and Preschoolers, revealed that high-carbohydrate foods contain tryptophan, a sleep-triggering chemical that can make a child's body relax before bedtime. In addition, foods high in calcium are also good for giving as a bedtime snack. Not only does it help strengthen children's bones and teeth, but it can also help your child feel full and ready to sleep. Give a piece of banana cheese, cherries, a cup of low-sugar yogurt, or a glass of milk high in calcium as a snack for children before going to bed.